Anand Buildtech Pvt. Ltd. is playing a vital role in development of public, commercial and infrastructure Projects in NCR esp. 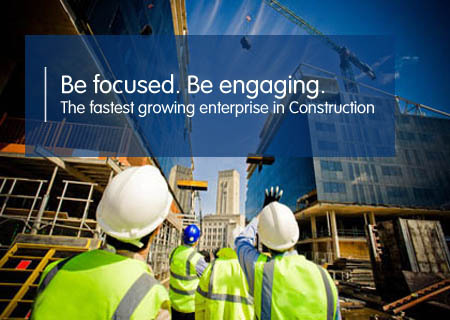 To be a world-class construction company which would be renowned for excellence, quality. For Anand Buildtech Pvt. Ltd., business is not merely a source of revenue but a commitment to provide excellent customer service and earn enviable reputation within the industry. A journey of success always requires a vision, strategy and professionalism along with the power of trust. Our world-class construction strategy renowned for exellance, quality, performance and reliablity. Building Construction: Hospitals, Residentials, & Education Sectors. Our expansive construction project portfolio consists of quality construction in each business sector, from each region. From smaller renovations to advanced high-rise structures; from ancient general getting services through full design-build delivery, we have a tendency to have it away all. Have a glance for yourself. select a sector from the navigation tabs on the left and start to explore all the development comes that we've got to supply. Anand Buildtech Pvt. Ltd. is playing a vital role in development of public,commercial and infrastructure Projects in NCR esp. ABPL stands for delivering best service and exceptional quality of output for our customer.